Crowquill’s work on the inside of his books was matched by work on their exteriors. 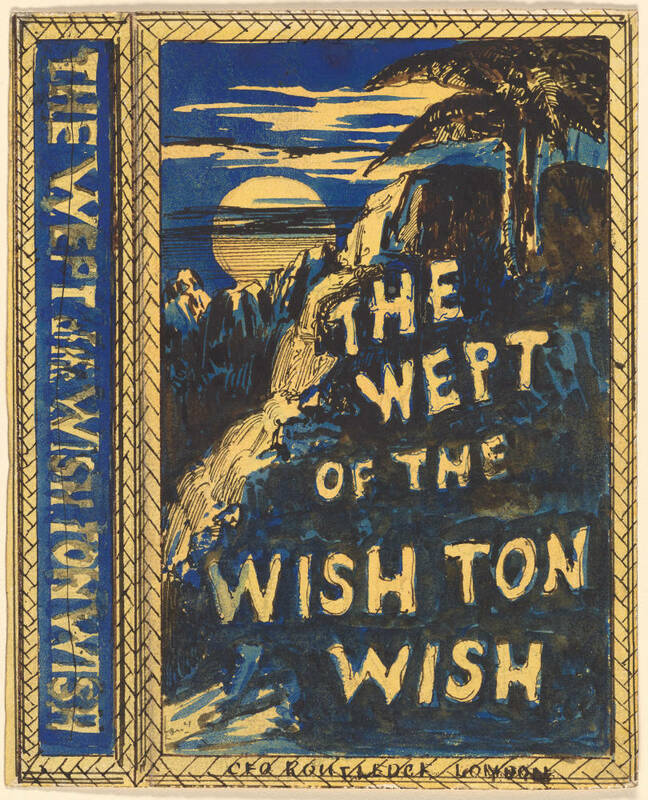 He designed numerous book covers in the 1850s and 60s and probably continued in this line until the end of his career. The Pierpont Morgan Library contains 72 of his original designs in watercolour and graphite for a series of Yellow-backs, part of the collection of the Victorianist Gordon N. Ray, as well as a portfolio of printed versions of the covers. Apart from a brief mention in Ray’s account of Victorian illustration (64–5), this aspect of Crowquill’s work has attracted negligible critical interest, a strange omission given that his productivity makes him one of the foremost designers in the field; he produced far more covers, for example, than John Sliegh or Robert Dudley, and is only second, at least in terms of numbers, to John Leighton. The lack of critical interest probably reflects the fact that although his original designs can be studied, the published versions are rare. The ephemeral nature of Yellow-backs, made up of card and paper boards, means that most have long since disappeared. It is not even clear if all of the artist’s designs preserved in the Pierpont were published, although many bear the names of Bentley and Routledge. The situation is further complicated by the fact that Crowquill designed a number of other bindings on cloth; some are signed with his distinctive ‘A C’, and others are not. His name is missing from Edmund King’s monumental catalogue of the period and in the absence of an established corpus of work we can only speculate on the range of his activities in this field. It is possible, nevertheless, to characterize his style. Crowquill’s comic books on cloth and card are mainly illustrations reproduced from the books’ interiors. 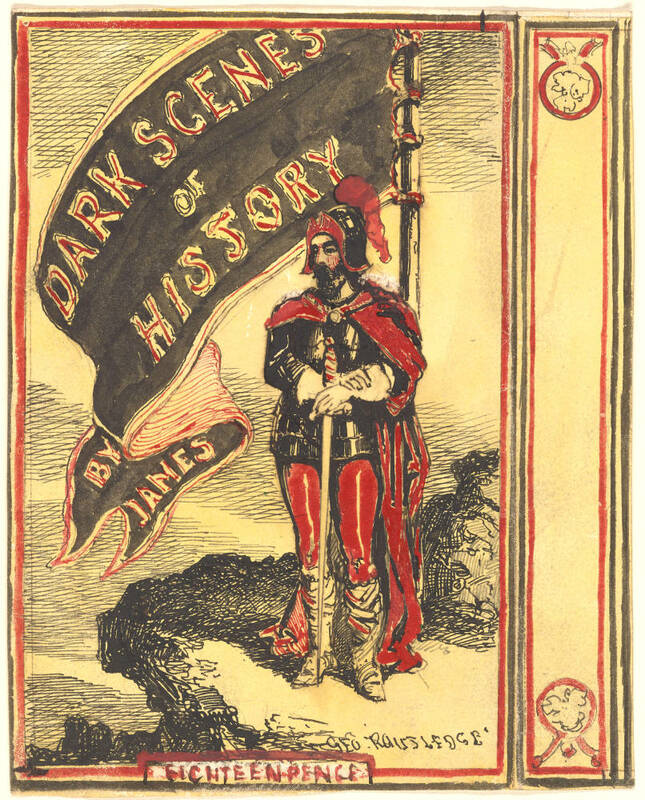 For example, The Careless Chicken reprints the pictorial title-page on orange card; the same approach is followed for Merry Hands (again on card) and a gilt device of Doctor Syntax, printed on red cloth, embellishes the Adventures. 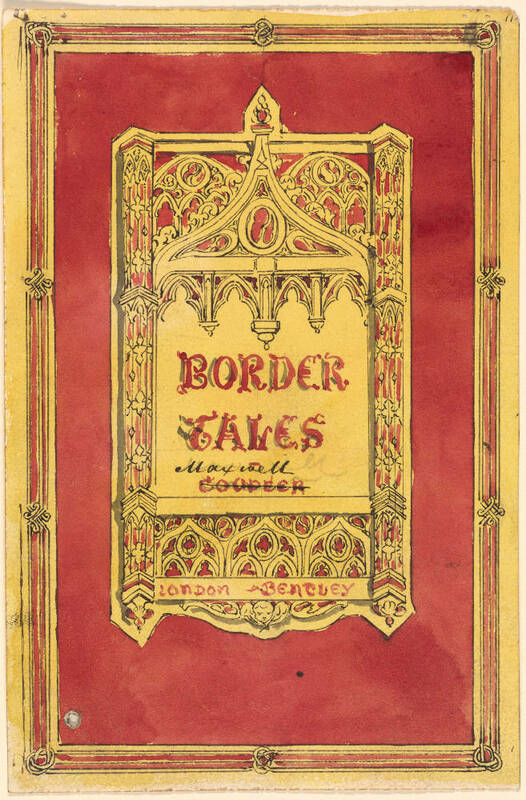 This is the approach of Crowquill’s contemporaries, Richard Doyle and John Leech, whose binding designs are usually reprints or versions of their illustrations. For the Yellow-backs, however, Crowquill produced original and sometimes extremely elaborate compositions. These range from the figurative to the purely ornamental. 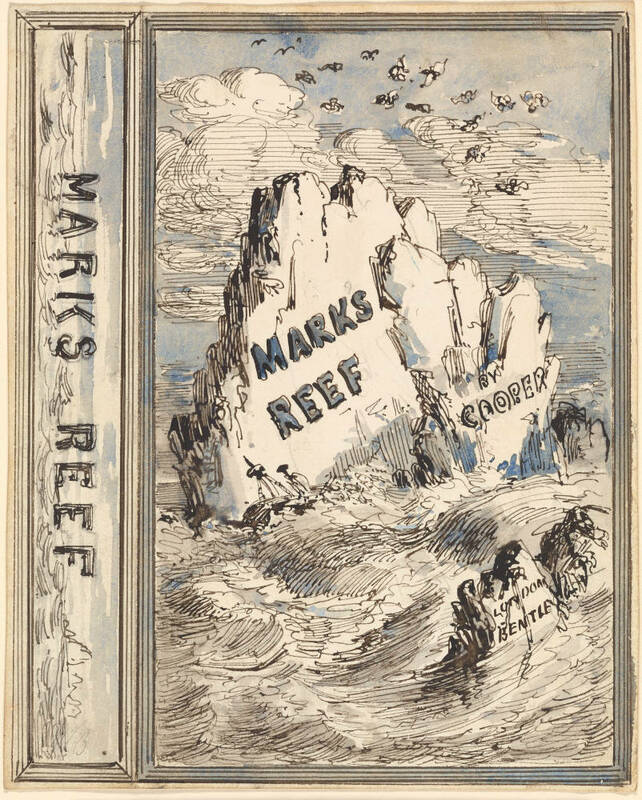 Lurid, polychromatic imagery is provided for The Wept of the Wish Ton Wish, Mark’s Reef; and Dark Scenes of History. The first two are emotionalized landscapes with dramatic light effects and the sea dashing onto an inscribed rock, while Dark Scenes is a melodramatic figure of a knight with the title embellished on a blazon. These sensational images would have been printed on tinted yellow paper and attached to the front board; designed for books with no internal illustrations, they act as proleptic signs, figuring the information contained in the text. Yet Crowquill’s more characteristic strategy is one of abstraction. The great majority of the covers in the Ray Collection are decorative compositions made up of neo-classical, Gothic and Renaissance motifs; others are naturalistic, and some incorporate the rusticity of Germanic design. Each of these boards combines a border and a central panel, and most are conceived as decorative units, with the spines continuing the motifs figured on the covers. <>The bindings are thus presented as flat, linear patterns, more closely related to Crowquill’s designs for ceramics than to his comic illustrations. The effect is harmonious and well-conceived; though intended for the front covers of some of the cheapest publications, they are far from gaudy or excessive when judged by the standards of the time. Available at railway kiosks and with only limited utility – the perfect bindings and paper covers consigning them to destruction – Crowquill’s designs convert the books into quality artefacts, and make them as appealing as possible.